1. Soak rice for 15 minutes and wash it thoroughly. Set aside. Soak raisins in 2 teaspoons of water. 2. In a thick bottom pan or wok, add chopped makhane and dry roast them for 2-3 minutes. Then add washed rice and milk. Allow them to cook on slow flame, with continuous stirring. Stirring is important so that rice doesn't get stuck to the base of the pan. It will take about 35-40 minutes for rice to cook as well as milk to reduce. 3. When rice is tender and blended well with milk, add sugar and raisins in it. Mix well. Add cardamom powder and turn off the flame. 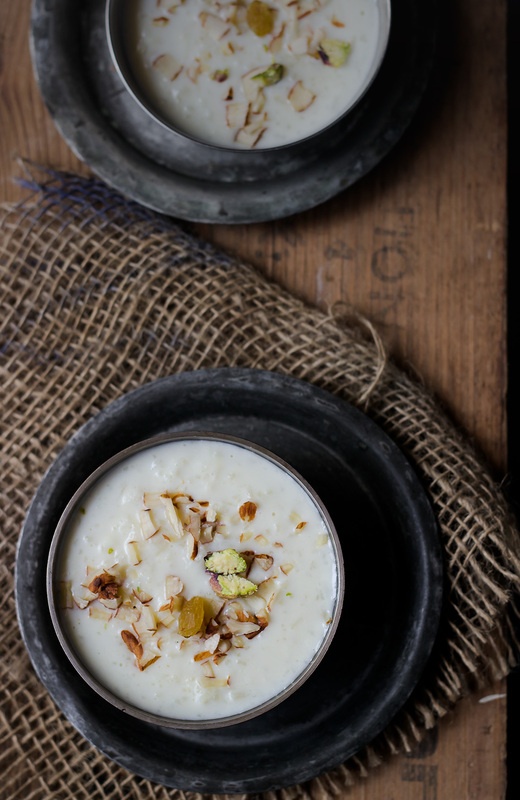 Allow the kheer to cool completely. Serve chilled and garnish with chopped almonds and pista. Stirring is important so that kheer doesn’t get stuck to the base of the pan.